Richard McVey is an American businessman. He works at MarketAxes as a Chairman and Chief Executive Officer who mainly operates an electronic trading platform for corporate bonds and other fixed-income products. He founded the company in April 2000. However, among people, he is famous as the husband of television personality Lara Spencer. Richard McVey aka Rick McVey was born on July 2, 1960, in Painesville, Ohio, under the zodiac sign Cancer. People who are born under this category have the personality of loyal, emotional, sympathetic, and persuasive. Richard holds an American nationality and belongs to white ethnicity. Richard was raised in the suburbs of Cleveland. His father used to run an oil company and was an active stock investor in Cleveland. He received his B.A. degree in finance from Miami (Ohio) University and then received an MBA from the Kelley School of Business Indiana University in 1983. Richard first started working at the Cleveland bank. After a while, he joined the Chicago Mercantile Exchange. In 1983, Richard was hired by J.P Morgan to run the North America Futures and Options Business, including institutional brokerage, research, operations, finance, and compliance. Richard’s main role in this business sector was of Managing Director. In 1995, Richard relocated to New York and moved into fixed income so that he could run J.P Morgan’s North American Fixed Income Sales. While working there he quickly moved up the ranks to become the chief of U.S. fixed income sales and worked there until 2000. In April 2000, he founded MarketAxess and has since served as a Chairman and Chief Executive Officer. Richard originally proposed the business model for MarketAxess in 1999 as a part of J.P Morgan’s Lab Morgan Program. It was designed to back executive’s ideas for using web-based technology. In 2000, Richard launched the company as an independent venture, after leading an initial funding round which raised $24 million in capital from J.P Morgan and other market participants. In 2004, Richard led the company’s initial public offering. In the video shown below, CNBC's Bob Pisani sits down with MarketAxess CEO Rick McVey to chat about the rise of electronic bond trading at Sandler O'Neill's Global Exchange Conference. 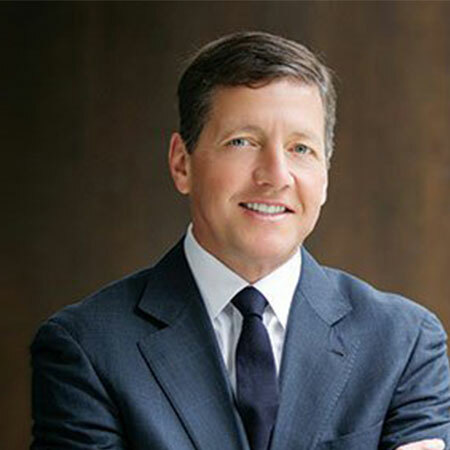 Richard McVey has the estimated net worth of $20 million. He is the founder and CEO of MarketAxess, which is an electronic trading company. Before he found his Company, he was working as the Managing Director at J.P Morgan’s Company. Richard has also been listed in the Institutional Investor Tech 40 for an amazing 15 times. Besides, his wife has a net worth of $9 million. 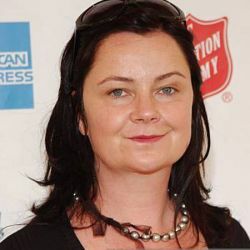 As a Television personality, she has collected a decent amount of money. Lara Spencer is entitled to a salary of $3 million on an annual basis. She is best known as the anchor of the Good Morning America and ABC News. As mentioned earlier, Richard is married to a beautiful television personality Lara Spencer. Richard met Lara in 2016 and started dating. After dating for two years, the couple announced their engagement in January 2018 and finally got married on September 1, 2018. 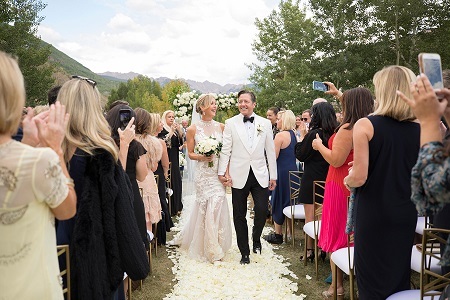 Their marriage ceremony was held in Vail, Colorado and was attended by their close friends and family, and their five children recite emotional readings in the ceremony. They are as of early 2019 is living a happy married life together with their five children. Talking about their marriage, Lara and Richard were both married once. Lara first tied the knot to David Hanffenreffer in 2000 and was blessed with two children Katharine Paige Haffereffer and Duff Haffenreffer. The couple could not continue their conjugal life together and got divorced in 2015. To talk about Richard's past marriage, he was married once before Lara but has not disclosed any information regarding his past relationship. The former pair shares three children. Weight: he weighs around 79kg or 174lbs as of 2019.